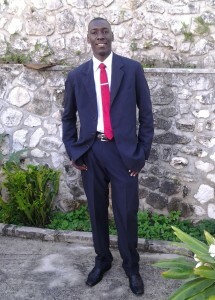 The Haitian Connection Network, a nonprofit organization, helps students in Haiti earn higher education credentials online and provides job placement assistance in Haiti for program graduates. HCN drives forward on their mission through three primary initiatives: English as a Second Language (ESL), Higher Education Online, and Job Placement Assistance. Students at HCN benefit from the Saylor Foundation’s courses in Business, Communication, Economics, Professional Development, and General Education — earning certificates to build up compelling academic records. 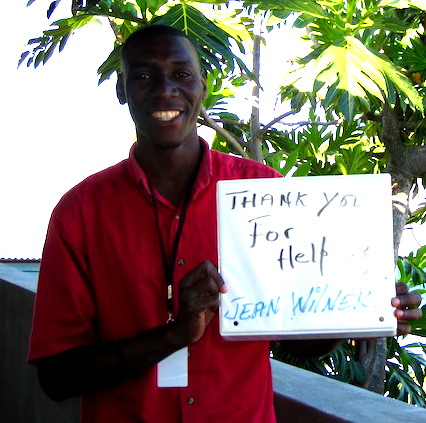 We are honored to work with and for students like Jean Wilner Augustin, who recently shared this letter with us. I would like to start by saying how blessed and fortunate I am for being a user of the Saylor Foundation Program. Truthfully spoken, online study is very uncommon in Haiti. That is why I was a little bit afraid when I was told that I was qualified to be one of the Saylor students at Haitian Connection Network. At the beginning it was very hard, like I did not know where to start. Now, it’s totally different, because of this program I do dare think about a better and brighter future. As it is said, “education is the key to success.” I would like to let you know that Saylor’s contribution in the world of education has done more than what one could have thought. As you (Saylor) are so valued and important, let this work be an example that displays the concern you have for those who have no opportunity to enroll in a public or private college like myself and millions of others. I had been planning to attend college since 2006, after finishing my secondary school. My dream was to be a Businessman, and as time went by my dream became less and less real. Now, thanks to God, Director Kristen Hertzog, and all of the Saylor staff, I do not dream anymore about being a businessman, because I have become a businessman! For the students, Saylor has helped them (us) to get a new perspective on life and help them (us) to develop self motivation. Just keep working that much harder, for very soon you will be rewarded!!! Once again, thank you very much. How are you making innovative use of Saylor.org materials? We would love to hear about your project and help tell your story. See more about HCN and others who have found value in the free Saylor Foundation materials at our Use Cases page.